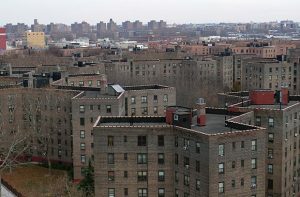 Instead of fixing NYCHA, City, State and Federal Governments have been engaging in purposeful negligence by denying NYCHA the funds it needs to give residents a safe and healthy living situation. At the City level, de Blasio has been pushing for more privatized “affordable housing” through his new zoning legislation, MIH/ZQA. Instead of helping with the housing crisis, MIH/ZQA leads to more displacement and gentrification in poor and working class neighborhoods throughout the city. Ritchie Torres, the former chair of the City Council committee on public housing, when confronted with information about lead in drinking water and in paint, encouraged the former NYCHA CEO to keep converting public housing into the Section 8 program, so that the Section 8 buildings could be sold off. On the State level, we have Andrew Cuomo as governor, who used to run H.U.D., the agency that nominally funds NYCHA, but who embraced an economic agenda of tax cuts for the rich instead of expanding economic safety net programs for people in need. At the national level, funds for public housing have been dwindling for years, long before Trump ever took office. There’s a lot of blame to go around at every level, and none of those responsible should be let off the hook. Against this dysfunctional backdrop, there is Congressman Joseph Crowley. Since 1999, Crowley has “represented” Queens and the Bronx in 14th Congressional district on New York. In reality, he’s been throwing regular people under the bus the entire time. Instead of doing his job, he’s been taking money from wealthy donors and fighting to make a handful of people rich. At this point, Joe Crowley is one of the most powerful Democrats in Congress, and head of the Democratic Party Committee in Queens. He’s also Chair of the House Democratic Caucus, and attempting to become Speaker of the House. In his quest for political power he’s voted to weaken regulations over Wall Street banks, real estate developers, and large pharmaceutical corporations. He does this, because these corporations and their lobbyists are the sources of his large political campaign contributions. While some pay attention to how Crowley votes and where he gets his political money, few people are aware of the source of his political power: being head of the Queens Democratic Party county committee, which is arguable the strongest political machine in New York State. Because of his political power, he can cast votes, make appointments, clear elections of opponents, redonate campaign contributions, and important steer city jobs to his supporters. Because of what Crowley can hand out, he demands an adherence to his boss system style of politics. This means he can, at his sole discretion, violate the honest public services that voters should receive from Government officials. 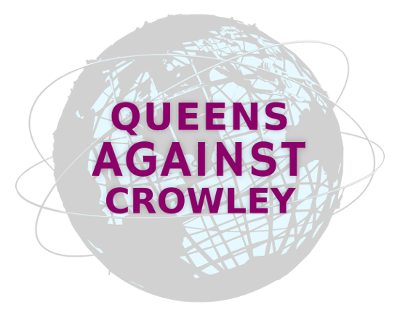 No Government body or authority exists in Queens that has not had had its democratic functions subverted by Crowley. Accordingly, Joseph Crowley has earned the title Queens Party Boss, and, as the name suggests, acts as if he’s above the law. This year, however, Queens and Bronx residents have a real choice. Alexandria Ocasio-Cortez, a Bronx native, is running on a platform of social and economic justice for those most in need. She is also advocating for a new era of equal human rights. This means that Ocasio-Cortez believes in a single-payer healthcare system for everybody, for free college education, and for job guarantees. She knows first-hand what it means to live in a working class family New York City. She is one of us, unlike Crowley, who is a neoliberal corporate Democratic that could care less about regular people. On June 26th, NYCHA residents need to turn out for Ocasio-Cortez. Get your friends and family, and take them with you to the polling station. 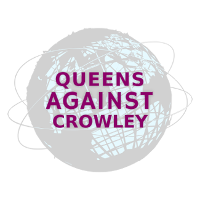 Give Ocasio-Cortez the chance to fight for NYCHA – a fight that Crowley has never honestly made an effort to take up. NYCHA deserves better, and NYCHA residents can win this for Queens and the Bronx.